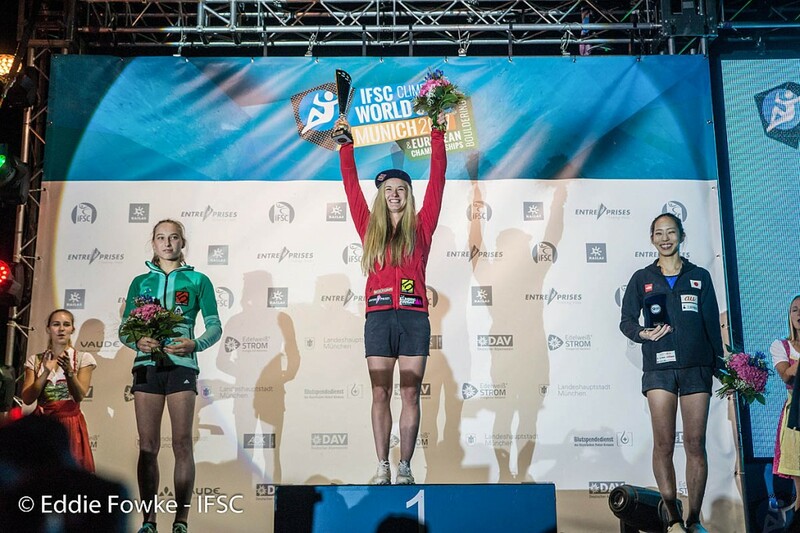 World bouldering champion Shauna Coxsey rounded off her season with a second place at the final world cup meeting in Munich. British climber Coxsey had already clinched the title at the previous round in Navi Mumbai, and managed a silver medal in Bavaria. 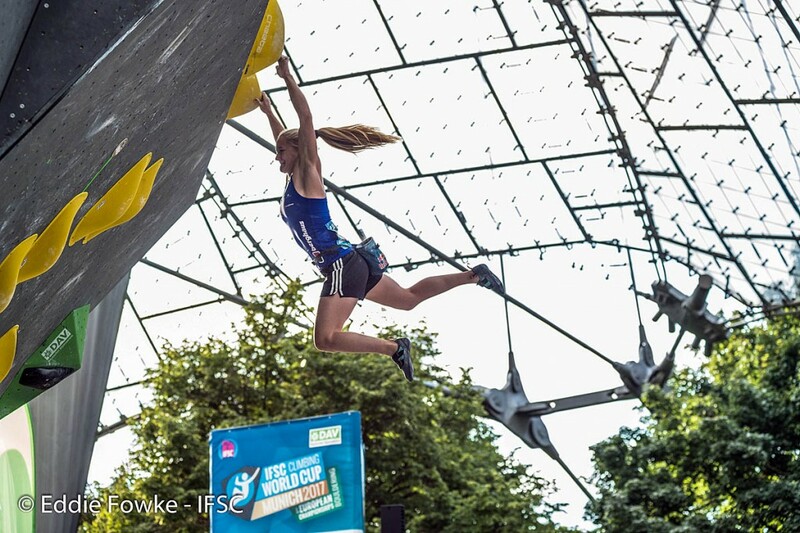 She finished behind Slovenian climber Janja Garnbret at the Munich gathering at the weekend. Garnbret took the lead in the second women’s problem. Only World Games champion Stasa Gejo conquered the third problem, while Coxsey flashed the fourth problem to gain the Munich silver medal. Garnbret’s win in Germany secured her second place overall in the world cup rankings, with Akiyo Noguchi of Japan coming third in Munich and overall in the season. The 24-year-old British athlete has topped the women’s bouldering International Federation of Sport Climbing world cup rankings for the past two years. Bouldering involves climbers tackling routes with technical ‘problems’ without the aid of ropes and is one of the sport-climbing events that will be staged in the 2020 Tokyo Olympic Games.